From this collection, I’ve got a couple of lipsticks and three Go Graffiti nail colors. 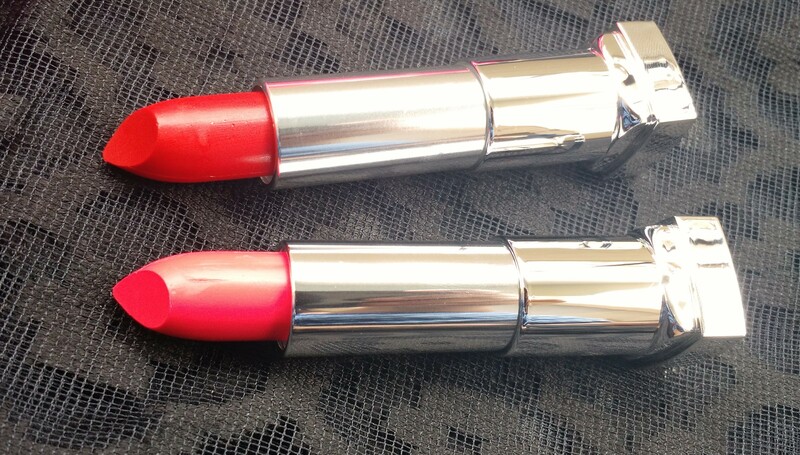 In this post, I’ll talk about the lipsticks REB 01, a beautiful red with very fine shimmer and REB 02, a bright pink. The Color Sensational Rebel Bouquet Lipsticks are bold and rebellious pastels that consist of the trendiest shades of this Spring/Summer. Packaging – The normal Color Sensational square packaging with the red plastic cap and again, with no names. Why Maybelline?? Texture – Creamy, soft and goes on really smooth on the lips. They are well pigmented and a couple of swipes give good opaque coverage. Because of the creamy texture, they do transfer but they also do not dry out lips. 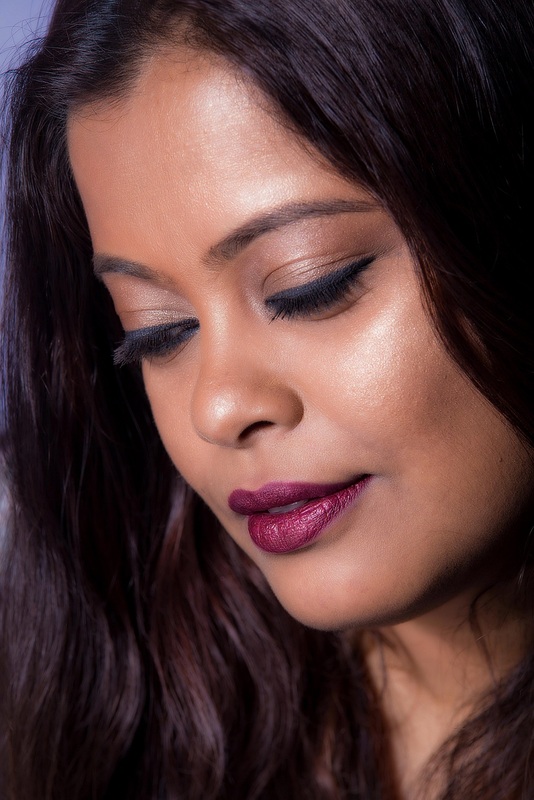 Finish – Glossy finish that give lips a plumped up look. Overall Thoughts – The colors that I have are really not pastel. One is a bright red and the other a bright pink. Both colors are beautiful, will look great on any skin tone and perfect for summer but there is nothing different about them. I would have liked to see some variety in the lipstick shades of this collection. Some of the Rebel Bloom lipsticks that Maybelline launched in the US were so pretty. In terms of quality, these are wonderful. Creamy and feels comfortable on the lips. Since I’m going through a major “I love gloss” phase right now, I’m loving the shiny finish. Wish they lasted for some more hours. 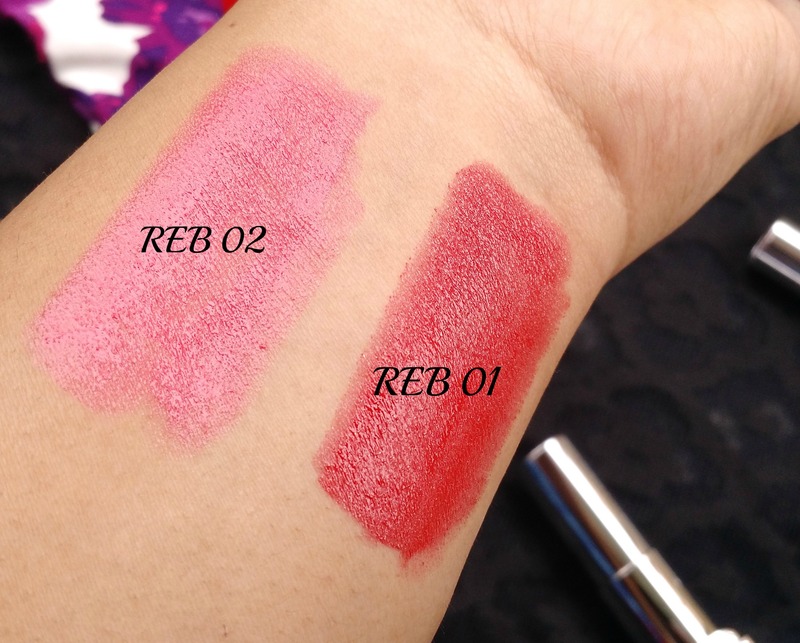 Out of the two shades I have, my favorite is REB 02 and I can see myself wearing it very often this summer. Which one did you like? 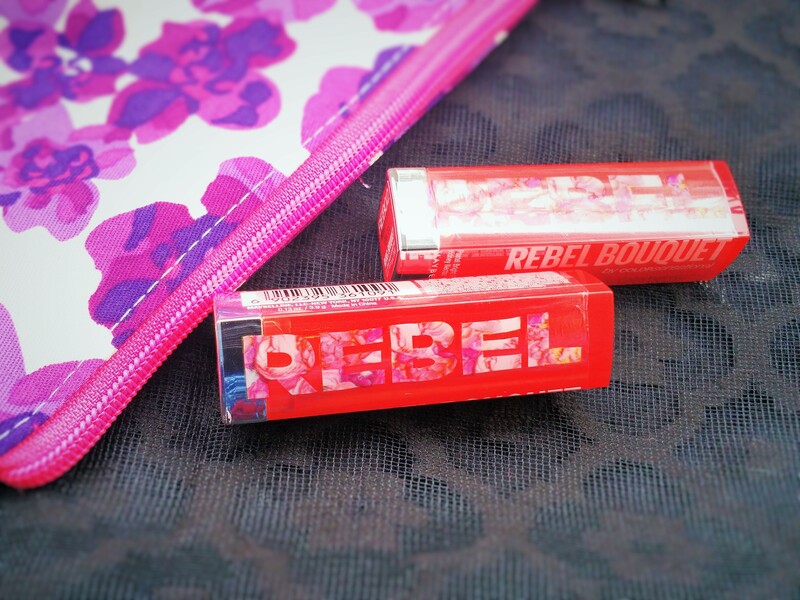 And, did you get anything from the Maybelline Rebel Bouquet collection? Do share in the comments below. 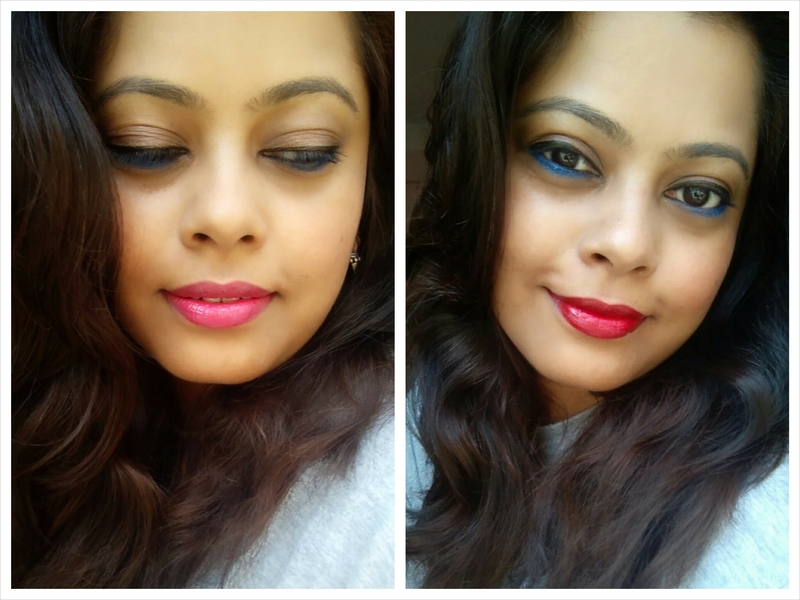 You can buy Maybelline’s Rebel Bouquet collection here.